The book will be out in May 2019. 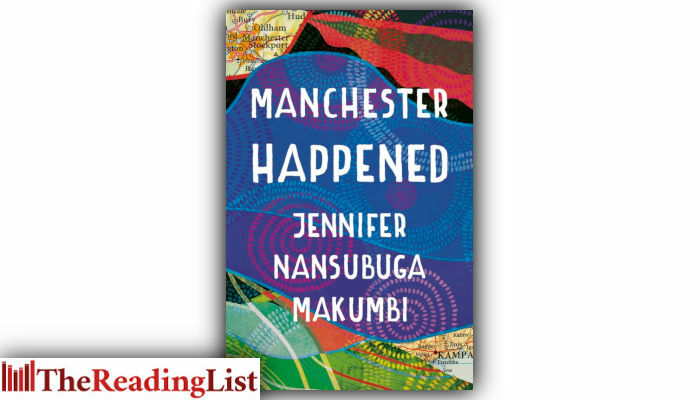 Set in Manchester and Kampala, the stories in Manchester Happened form a moving and powerful work about the experience of immigration and about how we treat each other as human beings, and makes an important contribution to one of the most pressing societal and political issues of the day. Following on from the huge success of her debut novel, Kintu, Manchester Happened – whose eponymous story won the 2014 Commonwealth Short Story Prize – is an essential collection from an extraordinarily talented writer. Jennifer Nansubuga Makumbi, a Ugandan novelist and short story writer, has a PhD from Lancaster University. Her first novel, Kintu (Oneworld, 2018), won the Kwani? Manuscript Project in 2013 and was longlisted for the Etisalat Prize in 2014. She was awarded the 2014 Commonwealth Short Story Prize for her story ‘Manchester Happened’, and her first full story collection, Manchester Happened, will be published by Oneworld in 2019. Jennifer Nansubuga Makumbi was awarded the prestigious Windham-Campbell Prize for Fiction 2018 to support her writing. She lives in Manchester with her husband and son, and lectures in Creative Writing at Manchester Metropolitan University.